We know that there are many circumstances that may have prevented you from finding “Boomers-In-Paradise.org”. Our “group” insurance plans have rigid guidelines regarding age and pre-existing conditions, etc. We’re finding that numerous newcomers are either too young or too old for the rigid guidelines of the “group” policies … OR perhaps, there are certain pre-existing conditions that preclude an expat from the “group” policy. Do not despair! 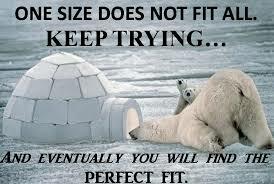 We continually do our homework and are fully aware that “one-size” does not fit all. While our intererst and expertise began with the “group” concept , over the years, finally we have found suitable private, individual plans that provide suitable alternatives from a trustworthy company! So if you will complete the following short form we’ll see what else we have that may fit your specific needs. UH-OH! I didn't find out about Boomers-in-Paradise in time to qualify (age-wise) or I'm too young for the "group". What are my other options! Tell us about your prescription medication(s) , dosage and the specific condition(s) for which it is prescribed. Tell us about any other major medical problems and or surgeries that have impacted your health and may impact the insurance underwriting process.